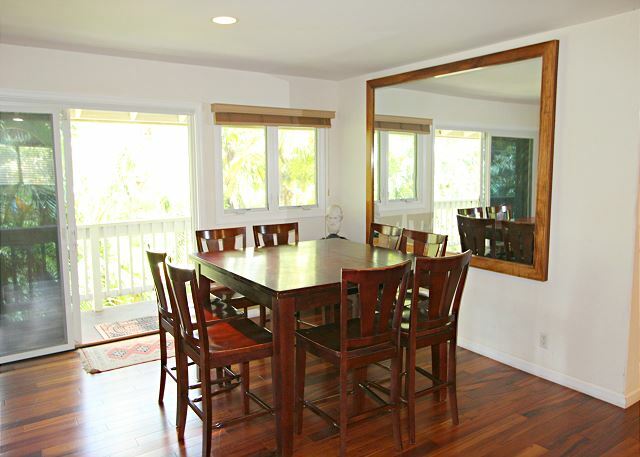 This spacious home is located five steps from Laniakea Beach and perfectly set up for big families and groups traveling together. 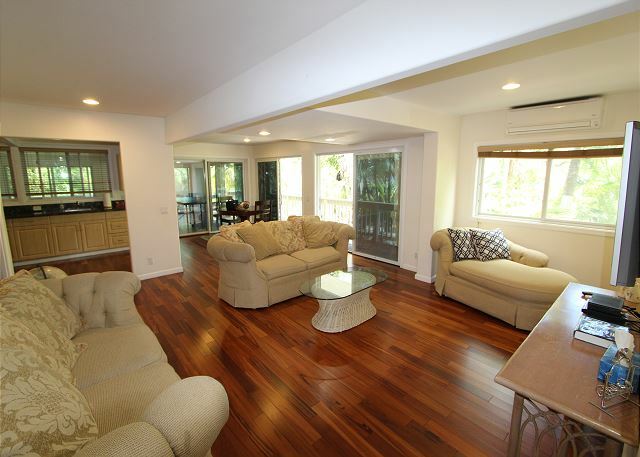 Contains six bedrooms, two living rooms, two kitchens, and a spacious game room that can be used as a 7th bedroom! Peekaboo ocean and sunset views from the majority of rooms. 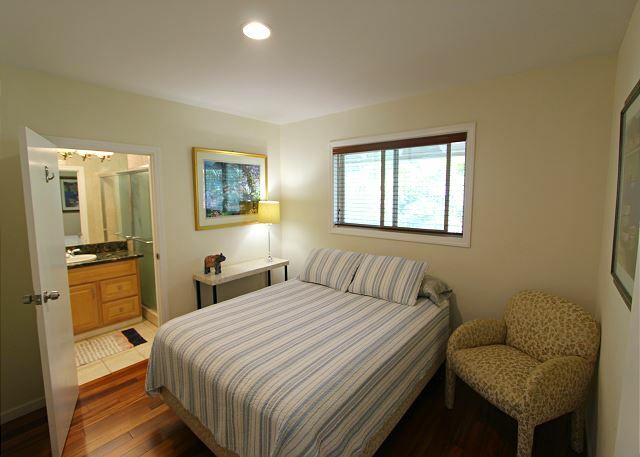 Other amenities include a/c, wireless internet, sun deck, bbq pit, plenty of off street parking, and laundry room. 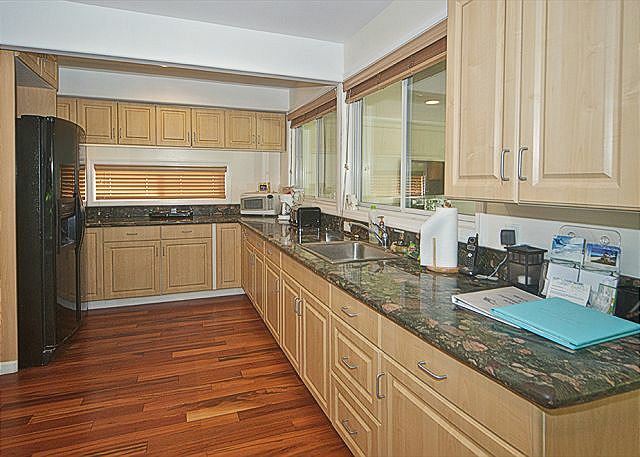 This is a private, gated house; no other home, tenant or caretaker is on this property. The house sleeps a maximum of 14 guests, please see below for a detailed description of the beds. 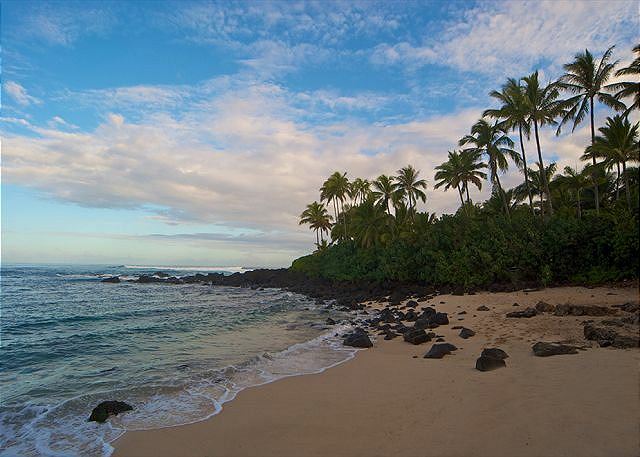 Laniakea Beach is steps from the house. 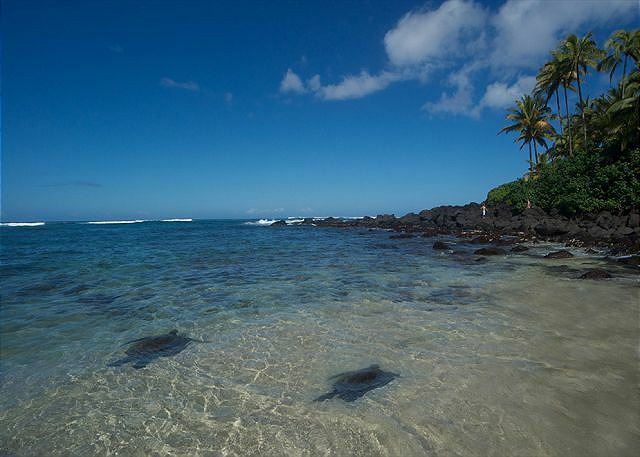 This beach is a meeting ground for sea turtles (Honu), and you will have many opportunities to swim alongside these incredible creatures during your stay. 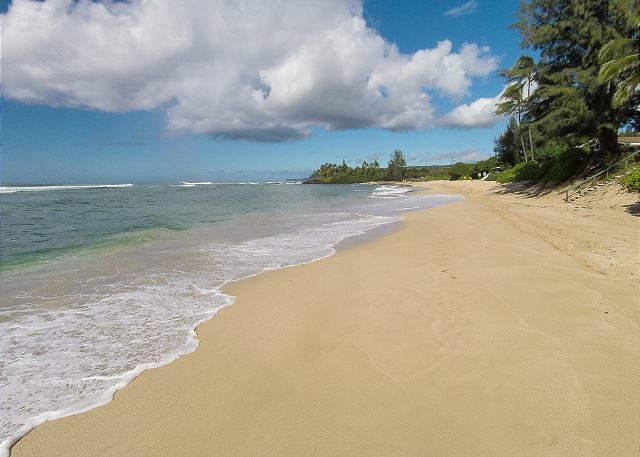 Laniakea is a pristine swimming beach, and stretches two miles all the way to Haleiwa town. Swimming, stand up paddling, kayaking and snorkeling are superb during spring, summer and fall. 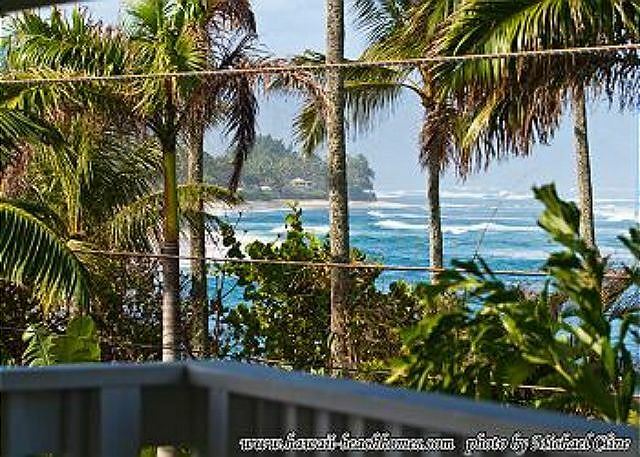 During big wave season in winter you are steps from the surf break Lani’s, the other surf spots in walking distance include Chun’s, Holton’s and Jocko’s. The beach faces incredible sunset views all year long. Please note that the home is not technically beach front. You are on the beach side of the main road, the only thing separating the house from the beach is a narrow private lane. 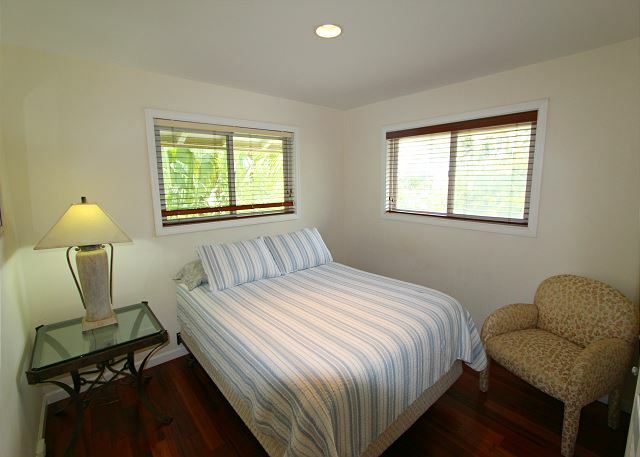 Honu house is located two miles from the entrance to historic Haleiwa. 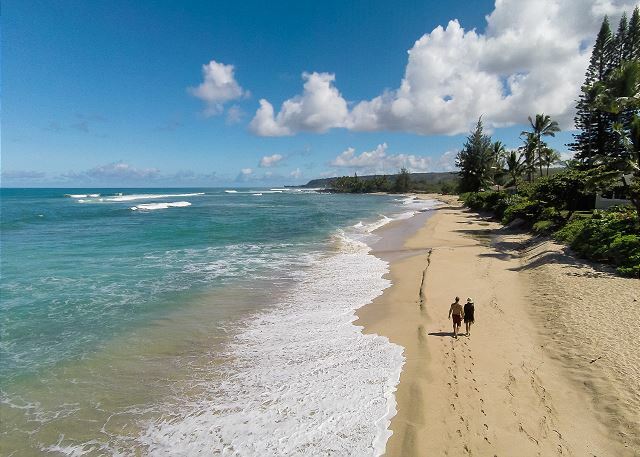 The town of Haleiwa is a safe and family friendly community filled with local restaurants, food trucks, cafes and boutiques. 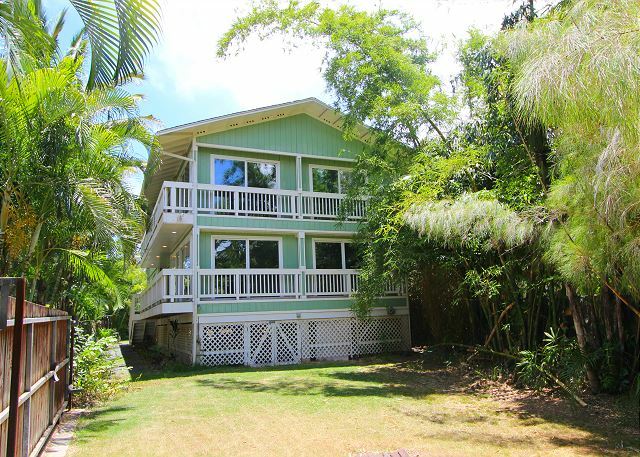 You are two miles down the street from the rainforest and waterfall at Waimea. 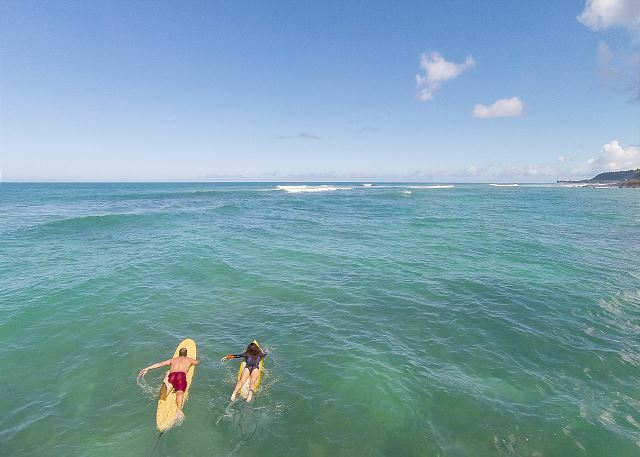 Nearby activities are endless, the highlights include excellent hiking trails, snorkeling, stand up paddling, eco – friendly shark tours, zip – lining, yoga on the beach, spa services, golfing, farmers markets, and luau’s at the Polynesian Cultural Center. The nearest grocery store is 2.5 miles away, the nearest farmers market is 2 miles. The airport is 29 miles, Pearl Harbor 28 and Waikiki 35 miles. 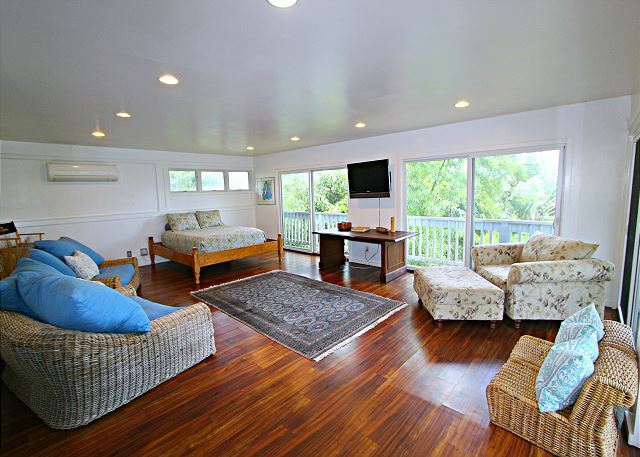 The Honu House is directly affiliated with Hans Heddeman Surf School, the premiere surfing school and equipment rental shop on Oahu. Take a stand up paddling lesson with your family, or rent boards and head out on your own adventure, all rentals and lessons are offered at a 2 for 1 rate below advertised prices for our guests only. 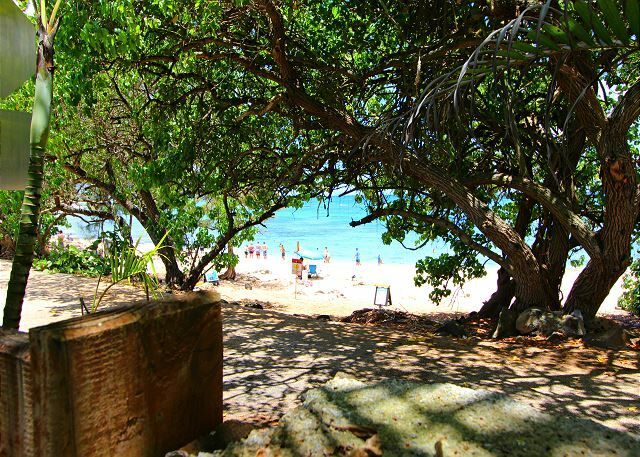 All other lessons and rentals located just down the street in gorgeous Kewala Bay. 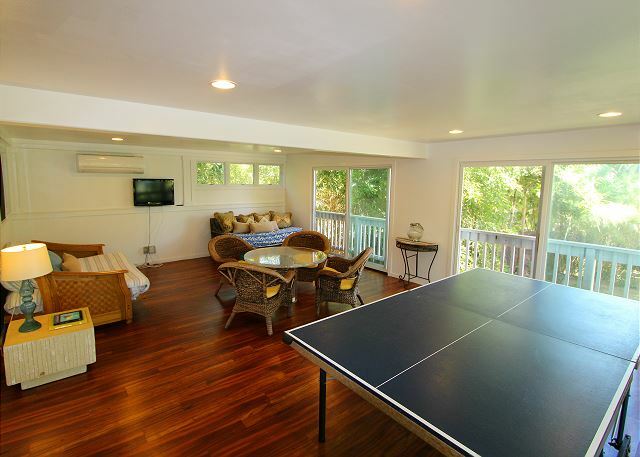 I rented this property for a birthday getaway for 8 people. The size of the house was perfect for the group. We had the entire house to ourselves! We had early morning people and late risers, so having the 2 floors was perfect. We are a group of foodies and love to cook. 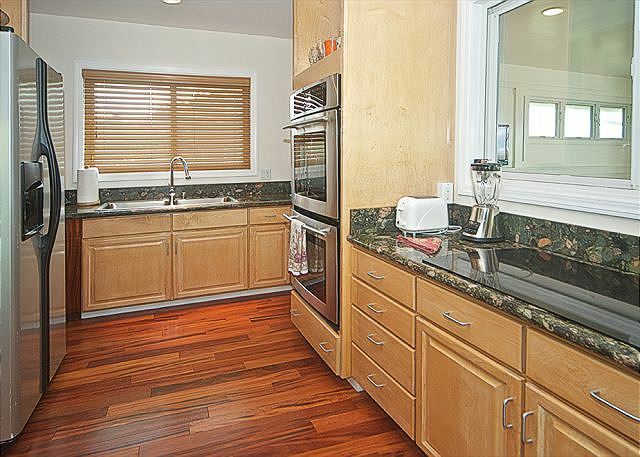 The upper floor had two ovens and a stovetop that offered us the opportunity to cook for 9. We had a night at the grill outside which was also perfect. The beds slept well with comfortable pillows. There are 3 full bathrooms. There is only 1 that is an ensuite, so 7 of us had to share 2 bathrooms. It wasn't an issue. Plenty of linens. I wish there had been beach towels provided. Only a couple of us had brought beach towels. They had plenty of body boards. The location was ideal and after having seen some of the other areas of the island, I am very pleased with where we ended up. 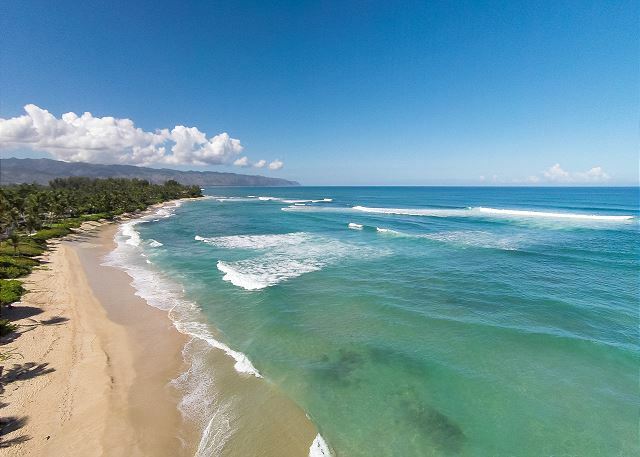 Haleiwa is a wonderful town with great little shops and dining. Not as touristic as the rest of the cities. Surfer vibe and very relaxing. Great beach walking. You literally walk out the back gate, cross a private road right onto the beach. Turtles were present every day. Great Beach walks. Biggest drawback was the traffic as it is a 2 lane road (highway) and Turtle beach is a huge tourist stop because of the turtles. Also, heavy traffic due to surfing. Also, it is not a bicycle-friendly area for the same reasons. The house could use a bit of maintenance. The gate door was completely off the frame. There were few lights outside so it was dark getting in and out of the property. There were some leaks in the faucets. Doors could use some lubrication as it was difficult at time to open and close. Railings could use a good water pressure cleaning to rid itself of animal droppings and dirt. Some of the furniture was a bit rickety. Minimal issues. 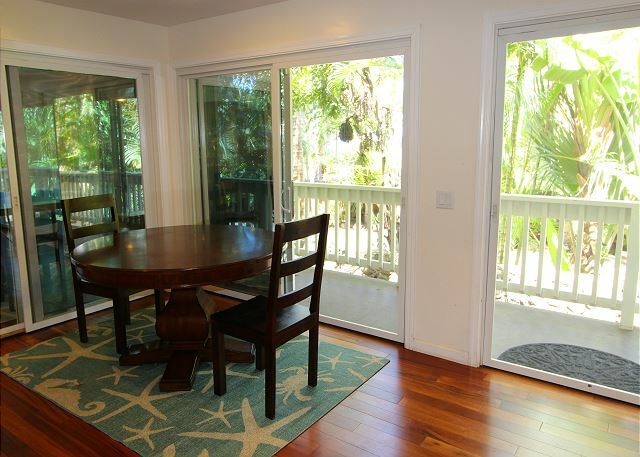 Loved the location-close to beaches. 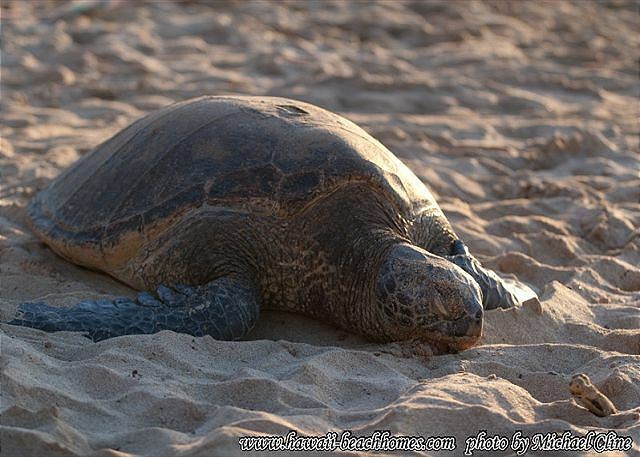 Were so happy to see several sea turtles. Not as busy as Honolulu so very relaxing,. Nice to have BBQ grill, highchair, nice kitchen,but D/W was almost impossible to load b/c it didn't open all the way. One washer and one oven didn't work. Cleaning staff weren't finished and were still there after our check in time. Location was great. Lots of space indoor and outdoor in yard. The house was perfect for our big gathering. We all had plenty of room and best of all the air conditioning was great. Some small issues like the front gate didn't want to close and one of the two washing machines didn't work but the house was clean and comfortable and it was in an amazing neighborhood with turtle beach right out front! Every morning we could snorkel with the turtles...wow! We would definitely stay here again. 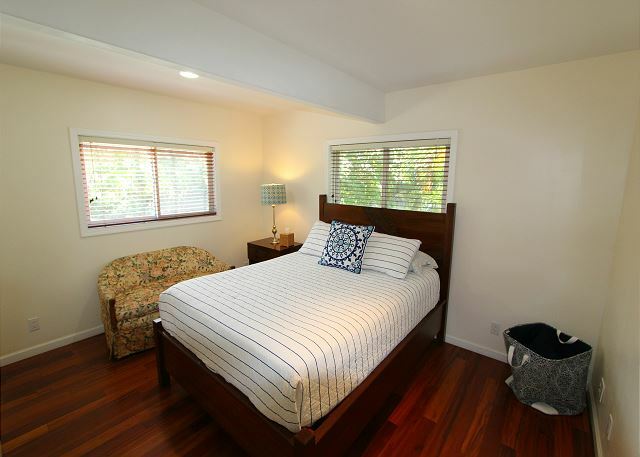 Clean and roomy house was excellent for our extended family of eleven. We loved walking across the private road to the beach where sea turtles slept. We saw several of them. So nice that beach towels were provided as well as everything needed to prepare meals. It took quite a while for the air conditioners to dehumidifie the house which was left open to hopefully catch the trade winds. When they blew, it was pleasant; when it was still, it was hot. One of the a/c units blew only hot air and no repair was available during our visit. Hopefully they were able to get it fixed for the next folks. Fans helped a lot! The management staff was very accommodating! Buy sunscreen and use it. 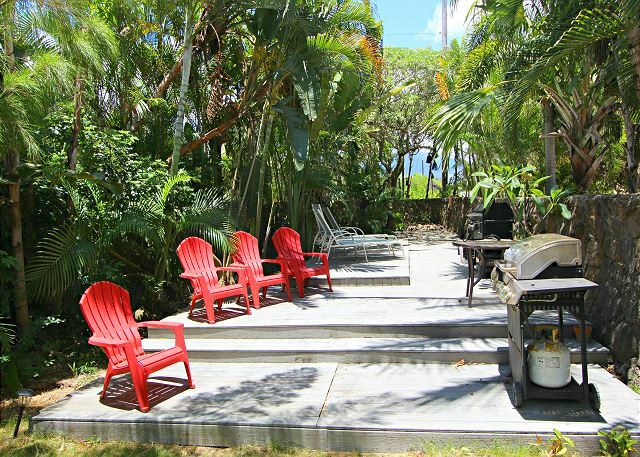 This property is on the north side of the island and the beach going traffic slows you down considerably. We didn’t have issues with the road noise as we had the a/c units on at night which served as white noise. There was mold around the window sill in the upstairs bathroom from the shower water. 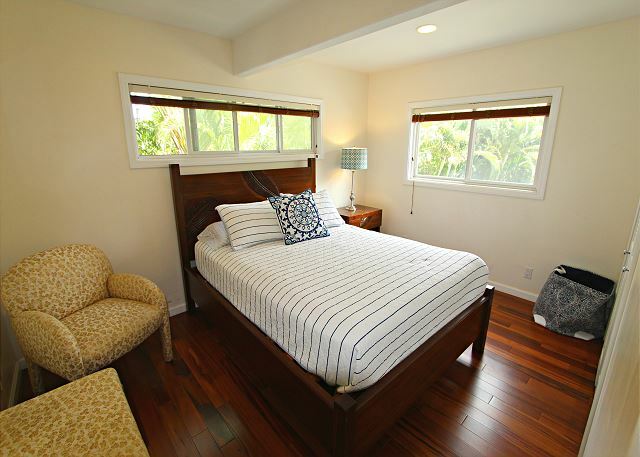 The cleaners did an excellent job on the rest of the house. We went barefoot in the house and our feet did not turn black on the bottom. Furnishings are beach theme. 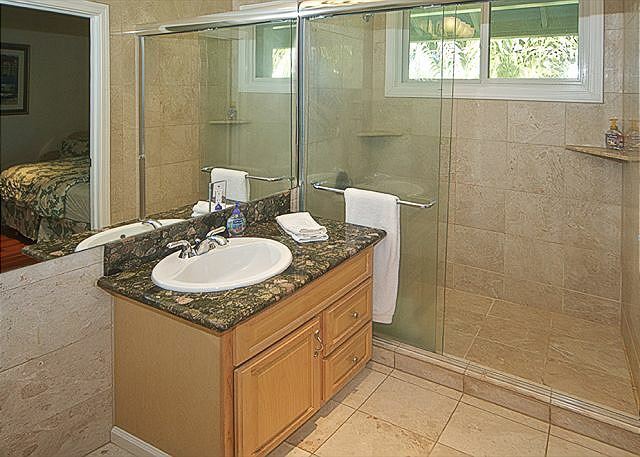 There are outside showers to use to rinse off the sand, or when the grand kids hog the bathroom. There is a privacy fence all around the property and parking inside the perimeter. Washer/dryer units were a blessing. We enjoyed our stay and recommend it as a great value. We toured Pearl Harbor one day - get tickets online ahead of time and start as early. We spent one afternoon and evening at the Polynesian Cultural Center and learned a lot as well as enjoying great entertainment. The Samoan stand up comic was terrific. We ate breakfast & dinner at the house, taking turns cooking. We ate out for lunch wherever we were. Haleiwa Joes was nice & Nicos Pier 38 is an absolute must do when you are in Honolulu. Another new experience for us was Marukami Udon Waikiki. Japanese udon noodles in luscious broth & tapas made a delicious lunch. Honu House was the best! We enjoyed walking out the back gate and taking 5 steps to the beach. We had our morning coffee on the beach and checked on the turtles before going to bed because we were so close to the beach. 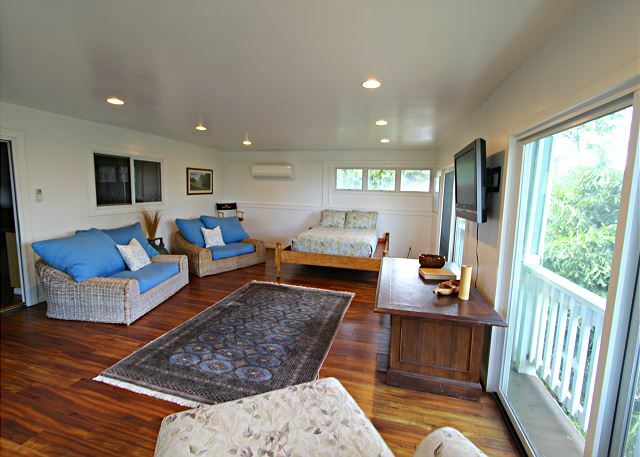 The house was perfect for our family and Haleiwa is very close to the best shaved ice ever! The management was always available if you needed them. We traveled up to pipeline and it is very close. I would go back any time. Truly enjoyed my stay. 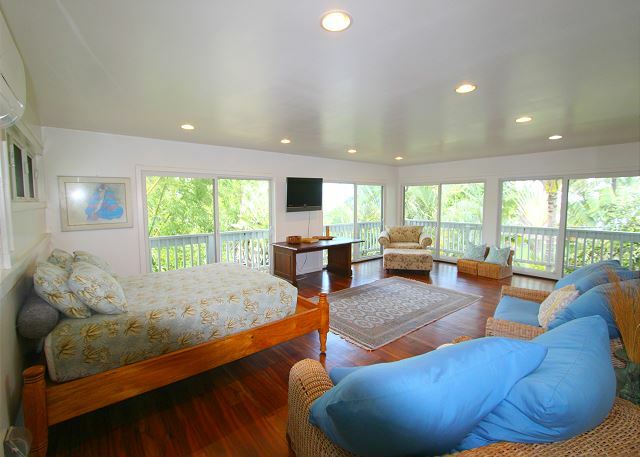 Honu house was the perfect vacation rental for our extended family. 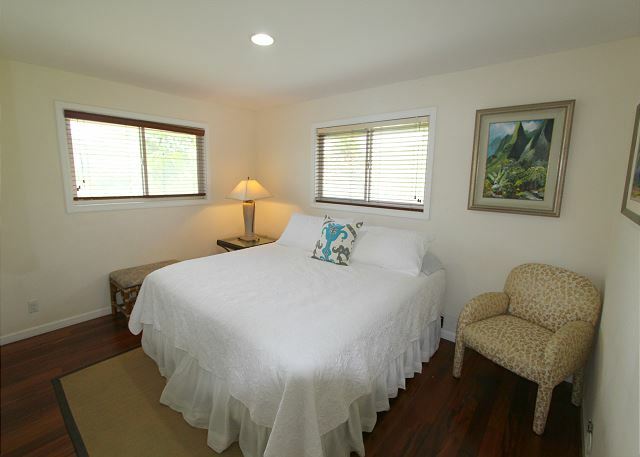 Hawaii Beach Homes were always available to answer questions and provide us with all the information and supplies we needed to make our stay fun and easy. They partnered with other services to ensure we had all the beach, baby and snorkelling/surfing supplies we needed. 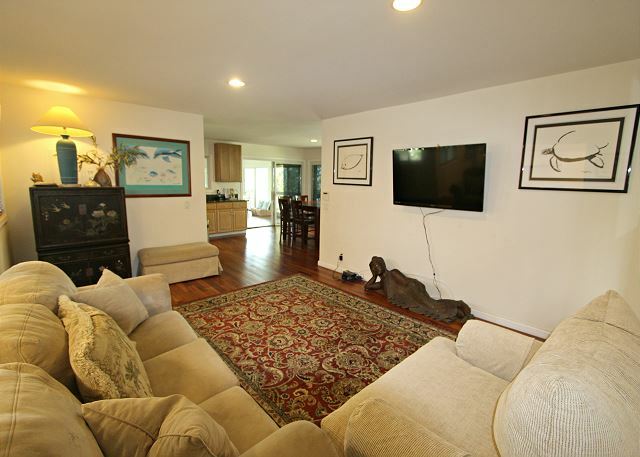 The surf lessons were a hit and the home couldn't be more perfectly situated at Laniakea, where you can watch the surfers from the second floor before heading out to the beach. This is a large property to turn over and we had young children in the units so we arrived a day early to sanitize the counters and stock cleaning supplies, which was needed prior to cooking in the kitchens. Keep a shoe area on the main floor to minimize tracking sand. Great place to stay for our large group. The house was plenty of space for our 3 families. Perfectly placed along the beach. It was private with all the amenities of home. We had a wonderful time on Oahu. There were new people in our group and we had fun showing them the wonders of the island. I think next time we may venture to some of the other islands. Do you have rental properties on other islands as well I'm assuming you do? Thanks again for a wonderful stay.